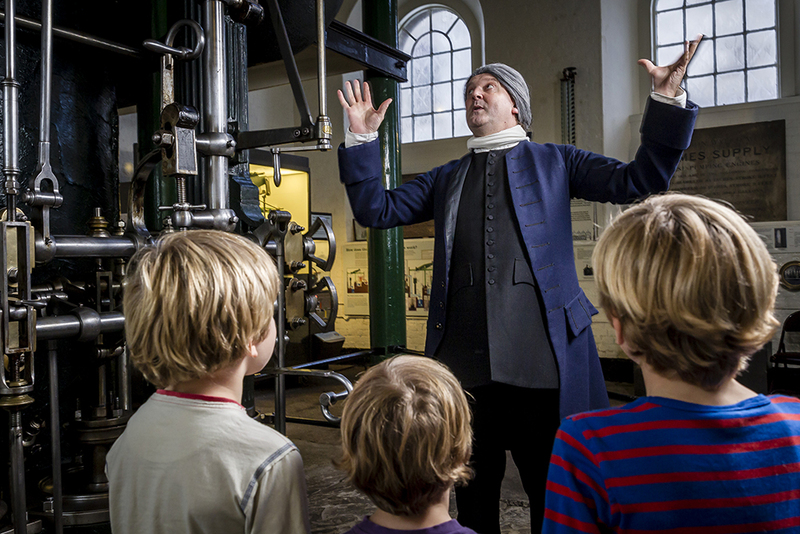 The London Museum of Water & Steam offers educational and fun sessions for children at EYFS, Key Stage 1 and Key Stage 2. We welcome just one school a day, so you will have the full and focussed attention of the Learning Coordinator for a hosted day at the Museum. 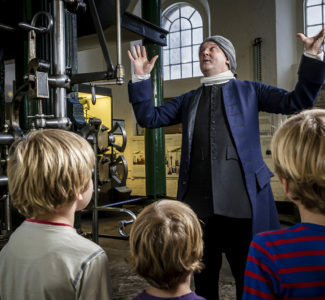 The Museum can host one class of up to 30 children or two classes of up to 60 children. Your day will include a session and a tour with your choice of focus depending on your topic. You can choose from Energy and Forces, History or Water Supply. There will also be the opportunity to try our indoor and outdoor Splash Zone water pumps. We have free parking for coaches and we are well connected to Kew Bridge railway station, Gunnersbury Park on the District Line and Overground, as well as local bus routes to Hammersmith, Kingston and Richmond. We have storage places for coats, bags and lunches, as well as lunch spaces and toilet facilities. We are closed to the public Mondays and Tuesdays but can open especially for your school group, giving you added peace of mind and a sense of unique opportunity and privilege to the children. We have a cafe where teachers and supporting adults can buy tea and coffee Wednesdays – Fridays. Please note, the cafe and shop are not open on Mondays and Tuesdays but there are cafes and shops nearby. Please download the School Pack for more details.